Last Friday myself and some of the other lovely Plymouth bloggers were invited to an evening of pampering at Satori Salon which is based in Drake Circus. When you step inside its like its own separate bubble to the hustle and bustle of outside, you can just sit back and relax and let the world pass by or even have a little people watch as you get your nails done if you grab a window seat, who doesn't like doing that to pass the time? I was really looking forward to this blogger event as I never usually treat myself to a bit of pampering in a salon, I normally just try and do everything myself at home. 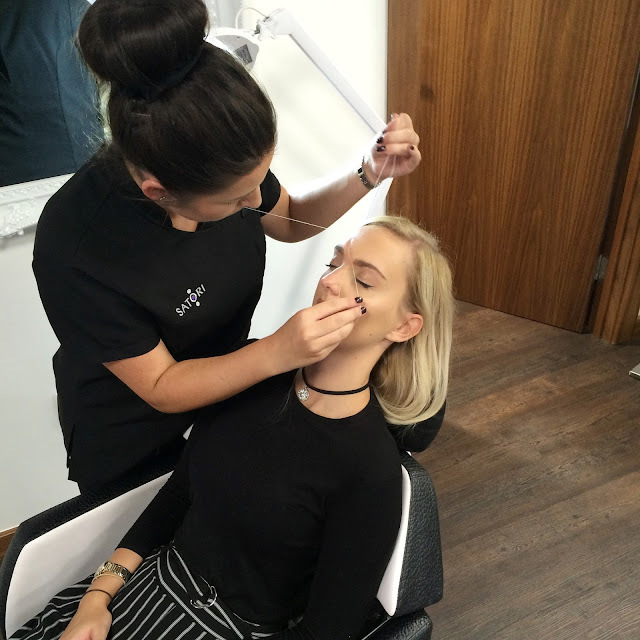 Throughout the evening we were given the chance to have a nosey throughout the salon, try some of their products/treatments and watch a demonstration of microblading. Obviously the first thing I headed over to was the range of Delilah Cosmetics products. 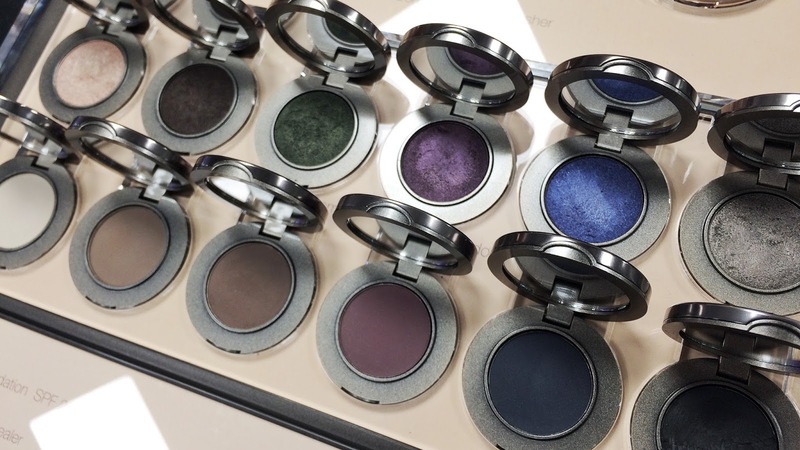 They come in such beautiful classical packaging and have a wide range of pigmented products. 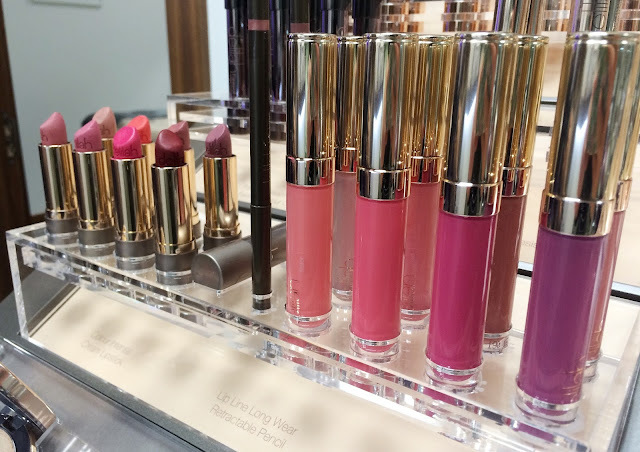 My favourite was the concealer pencil which was so creamy and blend-able as well as all of the lipsticks (I couldn't just pick one)! 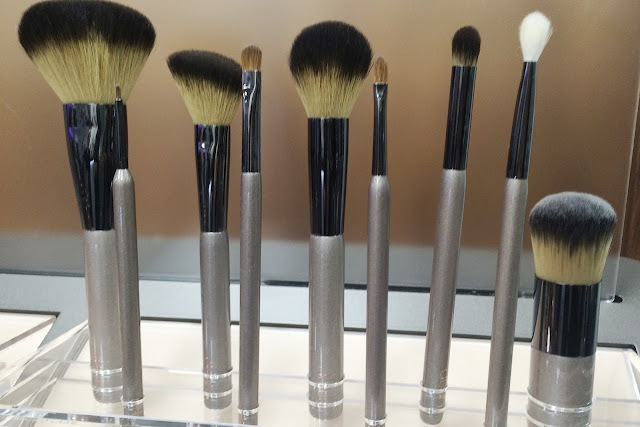 They also have some of the makeup brushes which are all so soft. What's even better about Delilah Cosmetics is that all of their cosmetics are paraben and cruelty free. Satori offer a makeover using Delilah Cosmetics products for just £20 which is also redeemable on a product of your choice, win win! This will be perfect for any festive nights out you've got lined up. I've got my eyes on the deep red lipstick. Then it was about time to tame the brows. I've had such bad experiences of having my brows done in salons that I'm now to afraid to have anyone touch them. Yep, I've had holes waxed into them before, I've had them tinted black and I've been given the worst scouse brows you will have ever seen! I'd never had threading done to me before but it really was a doddle. The lovely lady just tidied up my current shape (see ya later mono brow) and it took seconds. I wouldn't say it hurt either it just felt like a bit of a tugging. I think I've now been converted from waxing to threading, because I have such sensitive skin on my face I find that with wax it always leaves me with spots along my forehead, I didn't have that problem with threading and I felt my makeup went on a lot better the next day. 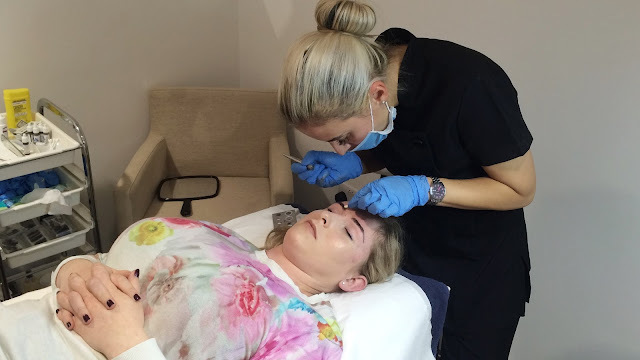 After my brows were tamed I decided to watch a bit of the microblading demonstration. If you haven't heard about microblading before then who are you and where have you been hiding for the past few months?! It is a new treatment which originated from Asia and is also known as eyebrow emboridery. It's a great treatment for anyone looking to improve or enhance their eyebrows. This isn't something I would look into doing as I naturally have bushy eyebrows that need geling down twice a day, but I love looking at the before and after photos that are being poured all over the internet. Microblading is a way of implanting pigment under the epidermis using a specially designed tiny blade which leave realistic hair strokes for a natural finish. At Satori they design the perfect brow for you - down to the perfect colour and shape to suit you. How long it lasts can vary from one person to the next but it's usually recommended to get a colour refresh 12 - 18 months after your initial procedure. Apparently some clients say it doesn't hurt at all while others say there's some slight discomfort, so again it all depends on the person but they do supply 2 different types of anaesthetics. 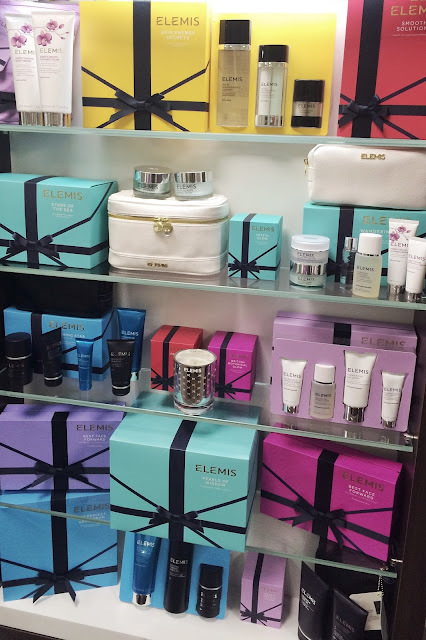 The Elemis Skin Lab was definitely one of the most popular areas for the evening. Unfortunately I dramatically fainted at this point in the car park so missed my chance, but basically the machine takes a picture close up of your skin and gives you an individual analysis on everything from spots to pores to wrinkles and sun damage. Once you've had the analysis it then recommends which products you could be using to counteract this. 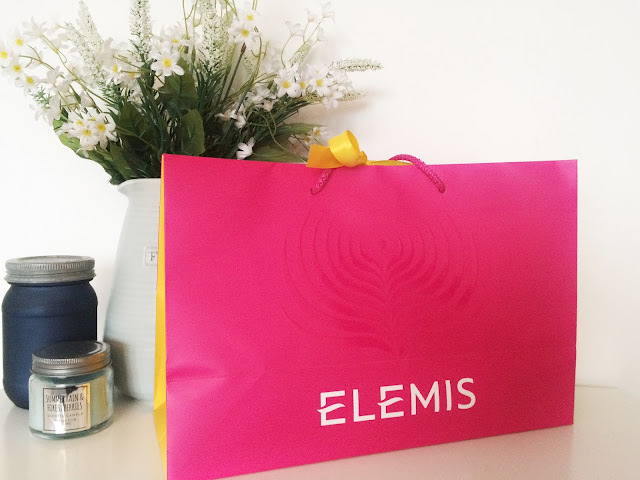 The Elemis Skin Lab was only in the salon for a short visit but it will be returning again on the 25th November, so make sure you pop in before Christmas as I'm guessing there might be a few products you'll be wanting to drop on your Christmas list! 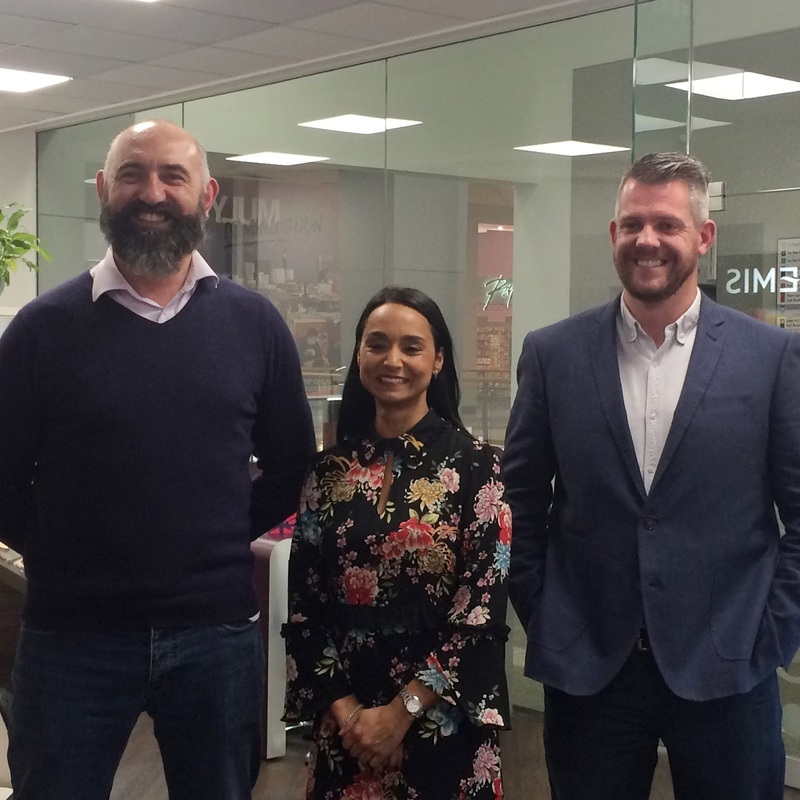 Satori have also just announced a really exciting new partnership with Hartley Clinic which is based in Mannamead. They will now be providing facial fillers, anti-wrinkle treatments and teeth whitening! After such a great evening we were then gifted with lovely goody bags and I only went and won the raffle and bagged myself a Oral B electric toothbrush - I literally never win anything! A huge thank you to them all for putting on such a great evening, I have now gone away with a list as long as my arm of all the things I want to try and buy! Have you been to Satori Salon before? What's your favourite treatment to have?